We decided to get an old server we had lying around the office and turn it into our AV (AlienVault) machine using a trial license (30-day full spec). We faced several issues, which I will put it down in this article and a few others to guide others in installing AV product in their network. b) Boot from USB, if your BIOS supports it. As it turns out, our BIOS was able to support USB boot. So we used the extremely useful Rufus (https://rufus.akeo.ie/) tool to burn the ISO image we downloaded from at VMWare https://my.vmware.com/web/vmware/evalcenter?p=free-esxi6. We set up the BIOS to boot from USB and immediately got into the installation portion for VM. So far so good. Fortunately we had an older version of VMWare a few years back in our network drive and we chose to take the path of C), since Realtek was supported by VMWare then. Why they removed the support, I have no idea. We re-did the image to 5.1 and rebooted to USB – this time, we got through without any issue, and VMWare ESXi was installed! Once you had your VM server up, you just download the client and deploy the AV OVF using File -> Deploy OVF Template. Of course, you obviously have to download the Trial AV first. Head over to www.alienvault.com/free-trial. Just use default settings BUT choose ‘Thin Provisioning’ as disk format to avoid having to pre-allocate the full amount of disk space. This will allocate a minimal footprint for your image and grow as you store logs. e) Power On — Not. We still had some minor issues, such as the error stating that the virtual CPU configured were more than the physical – in this case, it was simply right clicking the VM – Edit Settings -> CPUs and lowering the number of CPUs from 8 to 4. You might not face this, but remember we are using a low spec system. f) Power On — NOT again. But again, that was still not so helpful. I chanced upon a similar issue where I recall in the earlier VM installation that VMware was complaining about this system not being able to support Hardware Virtualisation and that to ensure this was enabled in BIOS. Tinkering around the BIOS, found the setting for Intel Technology Virtualisation to be ‘disabled’. Enabled it and it worked like a charm. 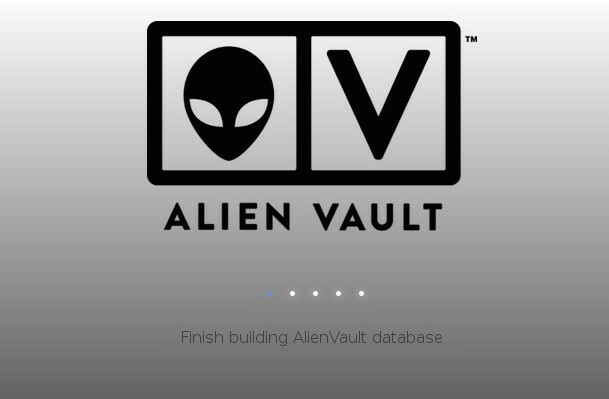 Alien Vault is finally up and ready to go! Next article, we will look into the basic functions of Alien Vault. P/s – make sure you have a different IP setting on the AV VM image and the actual host itself. Since VMware also has a WebUI, you won’t be able to access AV if you put the same IP address. This entry was posted in AlienVault, SIEM and tagged alien vault malaysia, alienvault malaysia, ESXi, installation, siem, vmware by pkfavantedge. Bookmark the permalink.